My contest entry for ! XD Oh boy, are you ready for this?! I laugh every time I see this now! 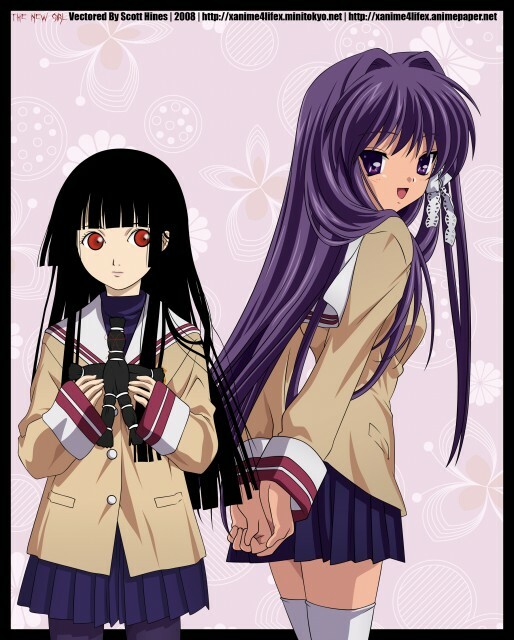 What does Clannad and Jigoku Shoujo have in common? Why did I combine the two? Who knows, I just thought it would be interesting! I used a lot of scans for references. This scan was the main one. I also used this scan as a reference for the parts on Kyou that were covered with thumbnails. This is the scan I used for Enma's head. And lastly, this scan for the straw doll in Enma's hand. Well i hope everyone enjoys my submission... Please tell me what you think! Haha, nice job. Creativity at its best.